Dr. Sanders’ research agenda lies at the intersection of international law, international security, and human rights. Her current project examines the complex and often contradictory role of legal and normative constraints in shaping contentious post-9/11 American interrogation, detention, "targeted killing," and surveillance practices. She is particularly concerned with the legitimizing and immunizing functions of legal argument and the reciprocal effects such processes have on the rule of law. 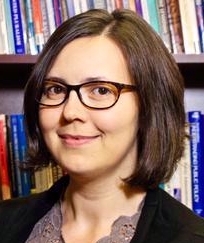 Dr. Sanders is also developing new research on international norm contestation in global politics, which explores backlash against the international women's rights agenda at the United Nations and beyond.